Science, Pseudo-science, Non-sense, and Critical Thinking shines an unforgiving light on popular and lucrative ‘miraculous’ practices that promise to offer answers during times of trouble. Throughout the book, the authors unfold the fallacies underlying these practices, as well as consumers’ need and desire to believe in them. Adopting a scientific approach, the book critically evaluates research into cold-reading practices, such as those that claim to be able to communicate with the afterlife or posess supernatural powers, before considering a range of pseudo-sciences including graphology and polygraph interrogation, exposing the pretensions of these practices in a clear and logical fashion. The book seeks to encourage critical thinking throughout, asking whether there is any scientific evidence to support these practitioners’ abilities to supply us with reliable answers, and discussing the various factors that comprise the psychological mechanism of belief. 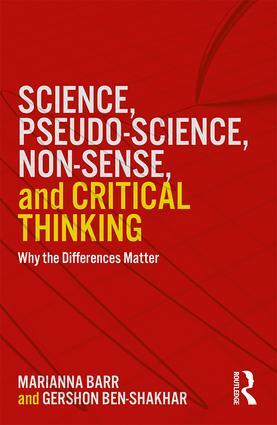 Written in a fluent and accessible style, Science, Pseudo-science, Non-sense, and Critical Thinking is aimed at interested professionals and the public at large.